・NEW! All new chapters on marmosets and tamarins, hedgehogs, and sugar gliders provide up-to-date coverage of exotic species you may encounter in the clinic. ・NEW! Thoroughly updated and expanded coverage of exotic species and the problems that may plague them helps you develop a potential differential diagnosis list quickly and seek appropriate care for exotic animals, such as: ferrets, rabbits, guinea pigs, chinchillas, pet rats, hamsters and other small rodents; parrots, budgerigars and related species, canaries, finches, toucans; lizards, snakes, tortoises and turtles, frogs, salamanders; pond fish, tropical freshwater fish and tropical marine fish. 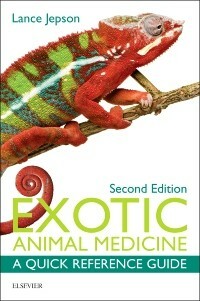 ・Covers the most commonly encountered exotic species in one text, making it a succinct and practical clinician's guide to diagnosing and treating a wide variety of exotic pets. ・Expert advice on diagnostic approaches, clinical techniques, anesthetic protocols, and treatment regimens offers an invaluable source of useful clinically applicable material. ・Organization of chapters by species and clinical signs enables you to access information easily and efficiently. ・User-friendly outline format allows the guide to act as a quick reference in the clinical setting.